This past week in Hsipaw, in our Northern Shan State, a South Korean female traveler died while on a river tubing adventure. It is so sad to hear of this loss for her family and friends, and we empathize with the guide who was taking her on an adventure that suddenly went from joy to tragedy. But this tragedy also serves as a warning, perhaps a wakeup call for many in the industry, which in Myanmar is largely uncontrolled. Coming from Canada, there are so many regulations and requirements to be able to guide people on adventures like this, and my feeling is that Myanmar guides in the adventure sector are far too cavalier with safety. In each activity we offer, we must consider the worst case scenario, and be able to plan and prepare for these scenarios. Hopefully we never have to put our preparation into action, however it is inevitable when we do things that have risk. Guides knowing how to manage risk, as well as respond in a calculated and effective way when tragedy comes knocking on the door. Myanmar has a guide training program, which perhaps serves the purpose of preparing people with knowledge about the country and how to show landmarks, but it does very little, if anything, to prepare people for adventure preparedness. There are no requirements. One can just start a river tubing company, and not know how to perform first aid, not know how save someone who is drowning, and even worse, not know how to swim at all. So what happens when someone gets trapped under a rock in the rapids??? Well, tragedy results! There are lots of things we would like to do, but managing risk keeps us wise and honest with our capability. We know of several caves, but are not guiding them, because we don’t have sufficient experience in cave rescue. However, we do a lot of water activities. Knowing our waterfalls and rivers is essential. Doing the research, not with clients, and know how to prepare them for every risk they may encounter, this is our job as guides. We need to assess the risk, and steer our clients away from things that could endanger them. Now this is the challenge, those who are thirsty for adventure find energy from the adrenaline of risk, and so we embrace both risk and then managing the risk! It is why when we guide waterfalls, specifically with strong current, or paddle board on the river or lake, we require at least one lifeguard certified guide or staff member be with our clients. Preparation takes time and commitment to safety and walking through each scenario as a team. It takes being prepared with first aid kits with us at all times. It requires that we have practiced rescue and rescue techniques. People come to us as the experts, and we need to be experts in every way. I would love the adventure guiding industry in Myanmar to invest in expertise and requirements for adventure activities as well. It is time! Let’s not lose another life before changes are made in the adventure industry in Myanmar. We knew it wouldn't be easy, starting a tour company off the beaten path...in Lashio. The vision was always to create opportunities for people and communities where there was little opportunity, so going to a place where no one else was doing anything in tourism development was what we were aiming for, but its hard! A place not known for good tourism experiences, we knew we had to change the narrative on Lashio, change the perception. 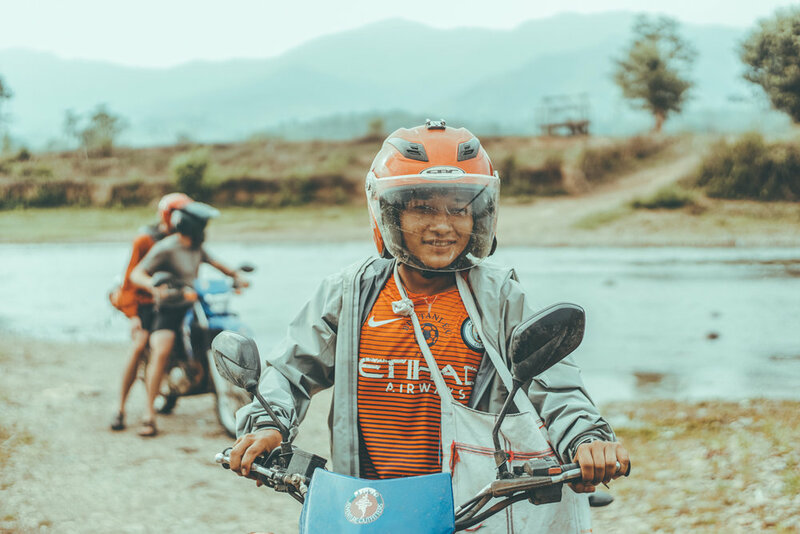 When we first connected with the Ministry of Hotels & Tourism in Lashio, they were excited about us coming and had a vision for getting people to go see pagodas in Lashio, and as worthwhile as some of this can be, we saw so much potential in the diverse & isolated communities outside of the city. People from Lashio scoffed at the idea that we came to Lashio to start tourism, even their narrative was one of a naysayer. But we've won over even people from Lashio, as now even locals stop me on the street wanting to do tours with MAO, because we've found places and created experiences even Lashio locals never thought possible. With Hsipaw just down the road, our challenge has been to get perhaps 3-5% of people who would stop in Hsipaw to continue on up the road to Lashio, and in actuality we are happy to send people on to Hsipaw. Hsipaw has some great trekking, and we aren't trying to compete with Hsipaw, but rather create unique experiences that would make both stops worthwhile, electing to help develop tourism throughout Northern Shan State, and not pitting Lashio against Hsipaw or Kyaukme or Naunghkio. So many great opportunities for authentic adventures in Northern Shan!!! When we first came to Lashio, water festival had shut the town down, and we were left uninspired. Reading wikitravel, we found the perception of Lashio was one of a big dirty market town with nothing to do. It is a big town, one of the biggest in Shan State. It has an amazing market where all of the diverse communities converge for buying and selling. It is certainly not such a dirty town in comparison to many places in Myanmar. And beyond all this, there are amazing untouched adventures just over the hills of the city. In my opinion, the best waterfall experience that can be had in all of Myanmar is just outside of Lashio, a feat we've come to achieve by going dozens of times and learning all there is to learn. But beyond this, MAO has even put some waterfalls on the map that now Lashio's locals know about because we put them on the map. All of this comes from endless exploration. North Face, the popular brand, has the slogan "Never Stop Exploring", and we've embraced this mindset. There is always more to explore, and we are determined to find it, pushing every boundary, leaving no rock unturned. We've found so many things, and so many places, experiences that few have even encountered with us yet. For many who have come with us on an adventure, now two years later, there is so much more to do that we didn't even know about two years ago. 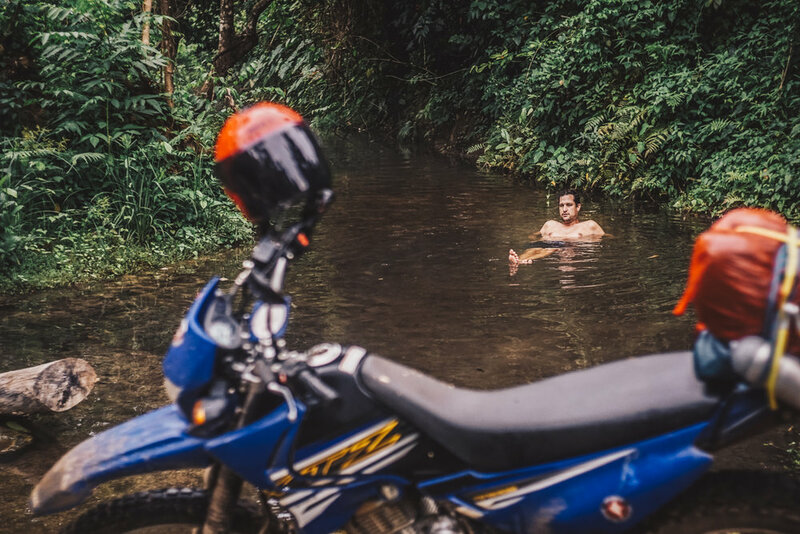 For example, Lashio is famous for hotsprings, but in my opinion, the best hotsprings are not inside the city, but the untouched ones outside of the city, with at least 4 places with amazing hot springs we've only taken a handful of people to, two of which we've never showed to anyone yet. We have formed a deep bond with a Shan community over the last 6 months of going in and out with travelers. The relationship began 9 months ago, visiting their village for the first time, and from day 1, they have been warm and open to tourism and the potential opportunities that inevitably come. But its a real tribute to them, as being open to new things and very foreign-to-them people is really new. For those who grew up in the west, we've grown up often in places where the world has come to them, places with large populations of immigrants that have formed the fabric of society, but in rural Northern Shan State, new cultures and new ways are all really new, and harder to embrace different cultures and ways of life, so being embraced by this community is exciting for us. We are particularly forming a bond with the village leader and his family. His wife cooks amazing Shan food, and we joke with them about how Shan food is far better than Burmese food, as even many Myanmar nationals also love Shan food. We always tell her she should open her own restaurant in Lashio, as every time we go there it is something different and always so tasty. Shan village leader and his wife at the front steps to their home. Recently when we've been there to visit, their home is the place where the youth come to practice their traditional dances for Shan New Year celebrations coming up in mid-December and for the recent Tazundaing celebrations (which we'll get to more later.) The kids in the village know when the foreign travelers have arrived, and are all eager to play games that we bring with us, like Uno (a card game we've taught them to play). We often spend time together with the kids and their parents learning about their way of life, their culture, and having fun with them. For us, it is really fun and a warm environment, and I think they enjoy us as well. And we do our best to fit into local culture and dress. However, it is also a new income stream for their family, as we make donations for their hospitality and pay for their amazing Shan food. 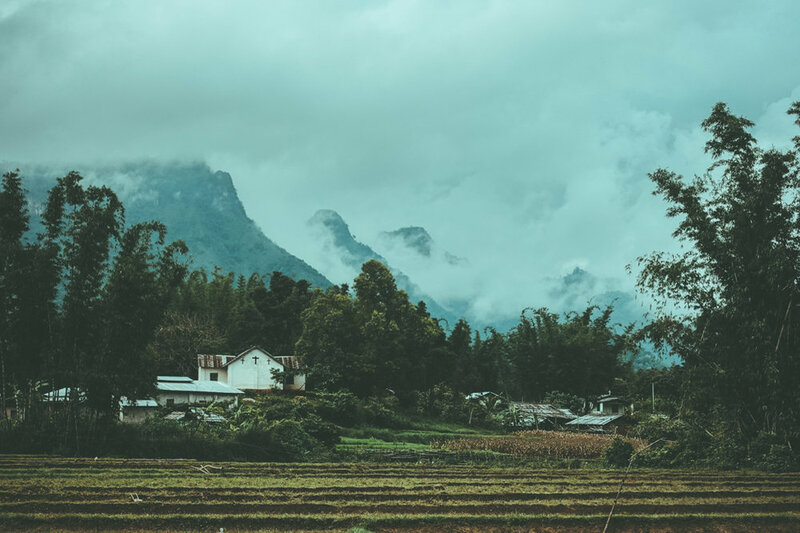 And we are happy to have created new opportunities in their community, and are always on the lookout for new income streams for them, as that is our purpose and desire for impact in Northern Shan rural communities. Recently they invited us to participate with them in their recent festival, where their village played host to 5 other Shan villages that made their way to their village in the evening to celebrate in dance and music and feasting. It was a wild and raucous event, and lots to learn about their culture and religious understanding. It is also an event where young men will meet young women and kindle a relationship that is started through an expression of desire to marry. Not every night is a festival night like this, but it is great to be invited into a tight knit community to share in their celebrations. To us it communicates a depth of relationship and trust that we don't take lightly, and it inspires us to keep on investing in this community.